I thought I’d write a few quick lines as to what I want to achieve with this blog. I don’t want to lecture or tell you how to do things. 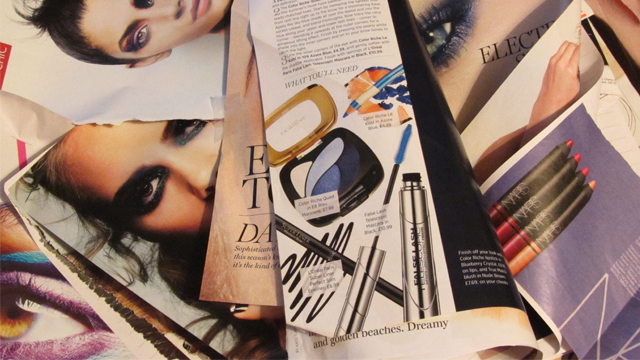 I just want to share a few ideas, tips and tricks with you – I love picking up tips from magazines, TV, beauty counters, friends and observing women who apply make-up on public transport (yes, if I’m staring I’m not being judgmental – I’m learning!) so why not share my favourites with you? Some looks will be very quick (because I’m always short of time) and others will be more creative and take longer to do. It’s all about having fun and feeling good whilst doing so!